Edmonton’s startup community has come a long way in just a few years, and Startup Edmonton recently celebrated its fifth anniversary as a startup hub in the city’s downtown. 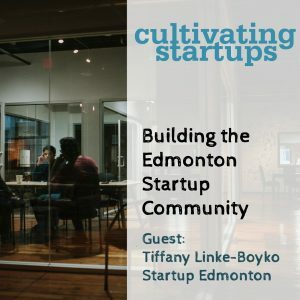 We talk to CEO Tiffany Linke-Boyko about the evolution of Startup Edmonton, starting as a grassroots initiative with two founders in 2009, to its place today as a core piece of the city’s economic development strategies. It was a big week for Edmonton, as the city—and the rest of Canada—cheered the creation of a new research centre from Google/Alphabet-owned artificial intelligence company DeepMind. The University of Alberta in Edmonton has been a world leader in artificial intelligence and, with the new office, it’s hoped that more AI talent will come to Edmonton and stay there. Laura Kilcrease Leaves Austin to Head up the Alberta Innovates Corp.